Selling your franchise business is one of the most important financial decisions you’ll ever make. When you list your franchise for sale, you’ll want to make sure you maximize your profit. But you’ll also have concerns about your employees, who will buy your business and how you will get paid. It is essential to have a solid plan to locate a franchise Buyer and sell your business. That’s where Franchise Buyer Direct can help. Franchise Buyer Direct has many levels of service to help you sell your franchise business, from our new, inexpensive self-serve "For Sale By Owner" service, Crown Listings; to our full-service Gold; as well as our Blue Ribbon, Silver and Bronze levels of Service. One of these is just right for you! 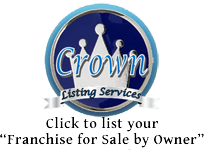 Crown Listings Service is an easy, self-serve way to sell your franchise on the internet. Just register, login and pay with your credit card or Pay Pal. Then, upload pictures, important facts you want potential buyers to know, including contact information. That's it! And it is immediately displayed through our sites, SellFranchise.com and Franchise Buyer Direct. Listings are easy to manage, change and renew. Want more assistance in selling your franchise? Then we have four (4) levels of personalized service. Franchise Buyer Direct's Gold, Blue Ribbon, Silver or Bronze service can help you every step of the way when it’s time to sell your business. First, we are experts at reviewing business financials and setting the right price for your business. We also know how to attract qualified Buyers and help them secure financing. But perhaps the best feature of Franchise Buyer Direct is that; for example with our Gold service we bring you qualified Buyers for just 4% -- that’s 6% – 10% less than business brokers. On a $500,000 sale, that’s $30,000 - $50,000 extra dollars in your pocket! Each level of service has its own price, benefits and restrictions. Check them out below! Reach thousands of interested buyers with your listing on FranchiseBuyerDirect.com and SellFranchise.com. Get a professionally written detailed listing from the experts who specialize in franchise re-sales! We will custom-design your listing, as well as email it to hundreds of buyer prospects. All for one low price! Added bonus: Our staff will recommend the most popular franchise for sale websites (for you to advertise) based on your franchise. 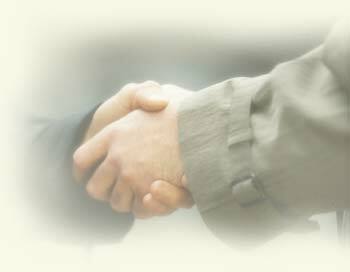 We help recommend a selling price or refer you to a valuation company who specializes in franchise re-sales. Additional bonus included in one low fee: confidentiality agreements, letters of intent and purchase agreement samples for you to use during the sales process. $59.95 / 3 Months / No Additional Fees! Crown Listing Services / NO Broker Needed! Crown Listing Services is simply a "Franchise For Sale" Advertising Medium that allows sellers to list & manage their Franchise Opportunities; and potential buyers to view your listing(s) and request additional information. Crown Listings Services does not recommend, sell or offer any franchise opportunity. It is a highly visible advertising vehicle only.